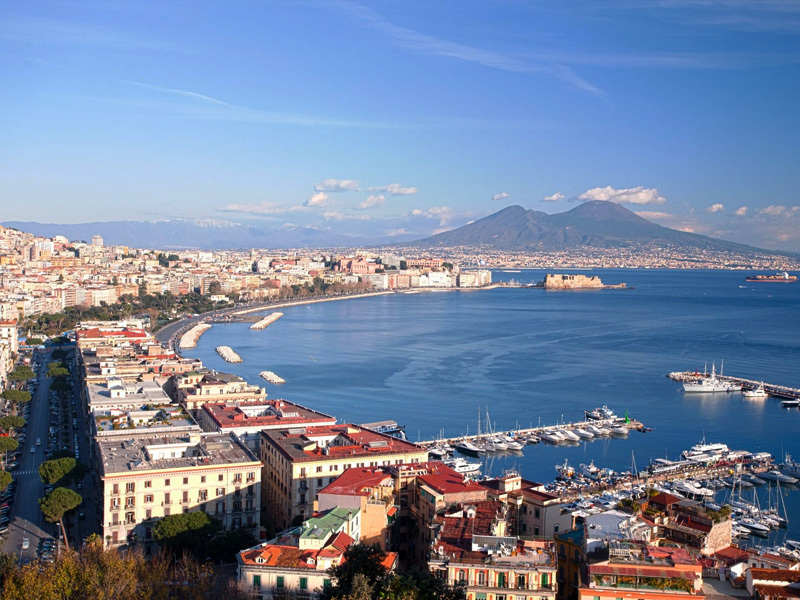 Naples is the beating heart of the Southern Italy’s tradition,the tour will lead you to the historical centre starting from via Duomo for a comfort stop pass through San Lorenzo and the famous Spaccanapoli. Panoramic tour of Bay of Naples and then coffe and pizza break before to come back to hotel. Discover Naples, “the city of the thousand colors”. A Professional guide will show you the citys hidden treasures that lie in the most secret corners of the famous squares and the “noisy” narrow streets of the historical centre. Departing from your Sorrento hotel, the tour will lead you to the historical centre, reaching Piazza del Gesu where you will have the chance to admire two of the most important Naples churches: the Baroque Gesu Nuovo and Romantic Santa Chiara. Visit the Cappella San Severo, the Veiled Christ, and the Basilica of San Lorenzo Maggiore before continuing on a walking tour of San Gregorio Armeno and Naples Christmas Alley. Stop for lunch and eat a delicious pizza in a typical Italian restaurant. In the afternoon stroll around the monumental square of Piazza del Plebiscito where you will have some free time at your disposal to admire the Royal Palace, San Carlo Opera, the Umberto I gallery, Via Toledo, Piazza Trento and Piazza Trieste. Enjoy a typical Neapolitan cake and coffee in the famous Bar Gambrinus before departing from Naples and making your way back to Sorrento.